Two things I love (besides architecture) is photography and music. This video created by Lv Sisi is titled ‘Digital Analogue’ and uses only sounds recorded from a collection of antique cameras and uses 6,000 individual photographs. This stop-motion video is pretty cool! Re-purposed… in a fun way! We love this! Makes total sense. 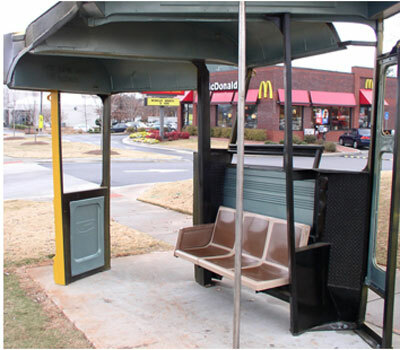 What could shelter you while you wait for a bus…? How about a bus! 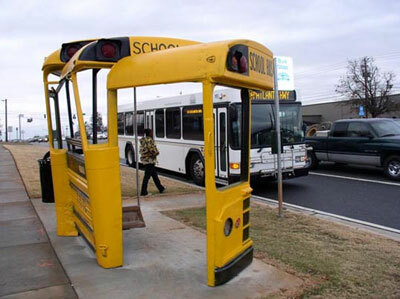 Rather then taking retired buses to the junk yard, Artist Christopher Fennell created this fun and functional sculpture in Athens, Georgia. Creative, unique and another example of being sustainable by thinking outside the box. 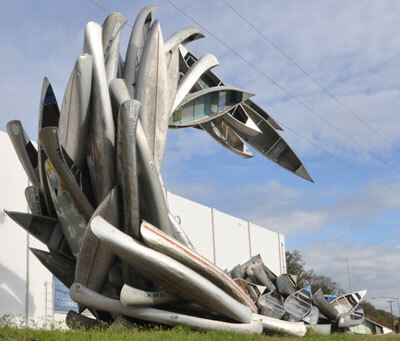 See more of Christopher’s work here including this ‘Canoe Wave’. Awesome! This fun video emphasizes that although we all are not sitting next to you in a mall, there are many of us who applaud those who make the effort to recycle. It does not take much to effect us all -directly and indirectly. Cheers! 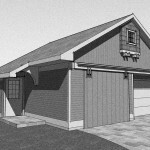 We are still in the beginning design stages of this home remodeling and addition project. 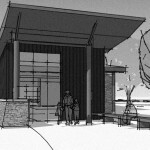 The video shows the first sketches that we presented to the clients after our initial meeting. 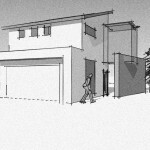 A big chunk of this first part of work is understanding the existing home and site. The goal of these early meetings and presentations is to start with the ‘big picture’ and not get bogged down in the details -those will come later to reinforce the overall design concept. 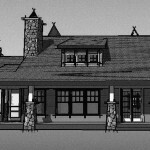 We start by loosely putting rooms and forms together so the client has something to look at and react to. We then discuss the ideas, doodle over the drawings and listen to the verbal (and non-verbal) reactions from the clients. Then we encourage them to take a couple days, let things soak in before we touch base and move forward with refinements. Stay tuned for more updates! Our annual Fourth of July tradition led us to my parents place in beautiful Walker, Minnesota. I instantly relax seeing the clear lake water, hearing the sound of the Loons and visiting the shops and events of that quintessential small town. All walks of life gather here. Whether ‘a local’ or ‘a metro’, everyone is a citizen of Walker. Besides the usual parade, fireworks, shopping…and garage sale signs stuck out everywhere, this Fourth of July, the town dedicated the ‘Circle of Time’. The community had gathered together and commissioned 6 bronze sculptures dedicated to the history of the town. They recognized that we all are quick to demolish the old in favor of the new. With a backdrop of the County Museum, liquor store and Dairy Queen, Mayor Johnson stated that we need to ‘Look to the future while preserving the past’ and more sculptures will be added to the group as time marches on. A few more words by Reverend Olson and sculptor Joel Randell led to the unveiling -with the Foundation Chorale singing Battle Hymn of the Republic. It doesn’t get much better then this! The statues included: Early Man, Prehistoric Tribes, The Fur-Trader, The Lumberman, The Fisherman and The Family. I told you, we ARE part of this community!